This two bedroom two bath condo at Shipwatch point is one of the rare few that has a beautiful ocean view and pool view from the balcony. It comfortably accommodates 6 people. Located right across the street from the beach. It includes ( 1 king bed,1 queen bed,1 twin bed)Comes with a fully equipped kitchen and a washer dryer. This unit is immaculate and does not have any carpets .The floors are Pergo wood and tile .Amenities include a ocean view balcony so you can enjoy your morning coffee or afternoon cocktail, It has two outdoor swimming pools, a huge heated Jacuzzi. Two grills, convenient adjoining market includes a bar and grill,ice cream,pizza,scooter rentals, convince store and more. Shipwatch pointe is centrally located in the Shore Drive section of Myrtle Beach and is minutes away from grocery stores, barefoot landing,Tanger outlets,Walmart,restaurant row,and a variety of entertainment venues ( House of Blues,Alabama Theater,Alligator Adventure,Pirates Voyage, and of course numerous golf courses) You are walking distance to Famous Ocean Annies Beach Bar,Harry The Hats Sports bar and restaurant ,Flip Flops bar and grill and The Apache Fishing Pier. "I've finally found my home away from home. I couldn't love this place more if I tried. I swear one day I'm going to have the homeowner redecorate my house. It was so homey feeling and absolutely beautiful. You'll love this condo!" "Room was very clean and spacious. Great view. Everything was modern and up to date. " "Overall great stay ! Nice location, convenient highway, restaurants & supermarkets. Condo nicely decorated, good sleeping arrangements, pool & outside areas well kept! There's always a few kitchen cooking/baking pan not quite like home, but not a problem. Thank you E207"
"VERY CONVENIENT LOCATION, VERY CLEAN, NICE FURNISHINGS." "The perfect place to relax, unwind and regroup.... would definitely stay here again! " "we had no problems with anything.the staff,booking,check in, and out,was very professional. we had a great stay. thank you Tyron, and front desk, clerks." "This condo is situated in a great location. It is walking distance from a few restaurants and the pier. It is only a short drive to Broadway at the Beach and other attractions. My one and only issue was the bed in the master bedroom which is totally relative to different people. It seems the box springs and/or mattress as given out. It is very loud which translates into waking up with every move the other person makes. This was an issue for us but may not be for others. Thanks again. " "Very convenient location, comfortable surroundings, close to beach, shopping, restaurants. Some nice additions to deck area this year. No complaints, another great Myrtle Beach vacation!" "My wife and I stayed in this nice condo for a week. It was just as the pictures showed. Very clean and tidy. Great location. Just a short walk to the beach. The view from the balcony was amazing. The only issue was that the bedroom didn't stay cool through the night. We even left the bedroom door open it seemed to help a little. Would recommend to others. " "The TV in the family room did not work. " "building is dated, but room was nice and fairly clean. great location! we enjoyed our stay !" "Condo was in a great location and the property is beautiful. Unit had all of the necessities. Only issue we had was that the listing stated the sofa was a queen sofa bed, however, there was only a twin-sized pull-out. The management company that handles this unit was very helpful & brought a queen air mattress for us to use. Very short walk to the beach, with bars, restaurants & markets for any needs." "Unit was clean when we arrived with plenty of linen. Refrigerator was not working properly but we figured out how to adjust it. May want to contact owner to let them know that the adjustable thermometer is broken on refrigerator. Other than that it was a pleasant stay." "Well satisfied with this rental E207. Very happy with comfy bedding & furnishings. Could add a crockpot & tv channel chart. Very Satisfied Vacationers!!" "The apartment was nice. And not a huge deal, however our welcome bag was never left for us, and even after calling and being told they would get it to us, it never came. Dryer could be replaced. It took forever to dry laundry. The whole apartment except the bedroom close to the balcony stayed cool. It made for uncomfortable sleeping being so warm! Bought disposal coffee cups ahd bowls because we could only find 1-2. here the dishwasher was never unloaded. didnt think to check in there because that's usually taken care of before check-in. Other than that we had a nice time. This was our 3rd year staying at shipwatch. " "You unit was clean had a view. My grandson loved the pool. We had a great time"
"My family and I stayed for one week. We had the most magnificent time! The kids agreed that it was better than Disney. The condo, itself was spacious, clean, and beautifully decorated! The balcony had a wonderful view of the beach and pool. I booked early and paid a price that was incomparable to other condos in Myrtle Beach. The beach access is right across the street and very convenient. There a tons of activities and entertainment to enjoy with your family. 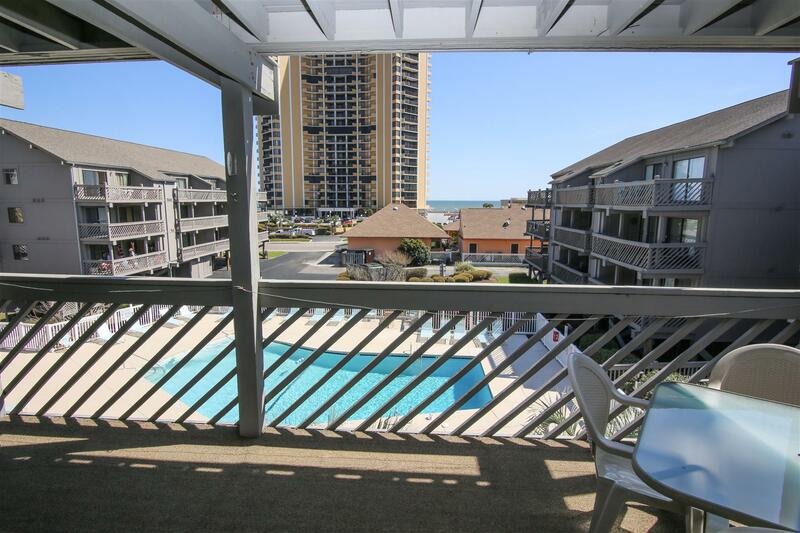 I fully recommend this condo and a vacation to Myrtle Beach, SC! We will definitely be back in the future. " "We were very happy with our stay. Everything was great!" "Our vacation rental experience went well. Nice and relaxing for us. " "I truly enjoy staying at your vacation rental. It was such a great location and beautiful view. It was a nice quiet area and the beach was within walking distance right across the street. We had direct access to the pool and the condo came with all the necessary amenities. I would definitely come back and stay here. "